Sometimes, a critical reasoning question on the LSAT has an answer so clear that there’s no mistaking it. 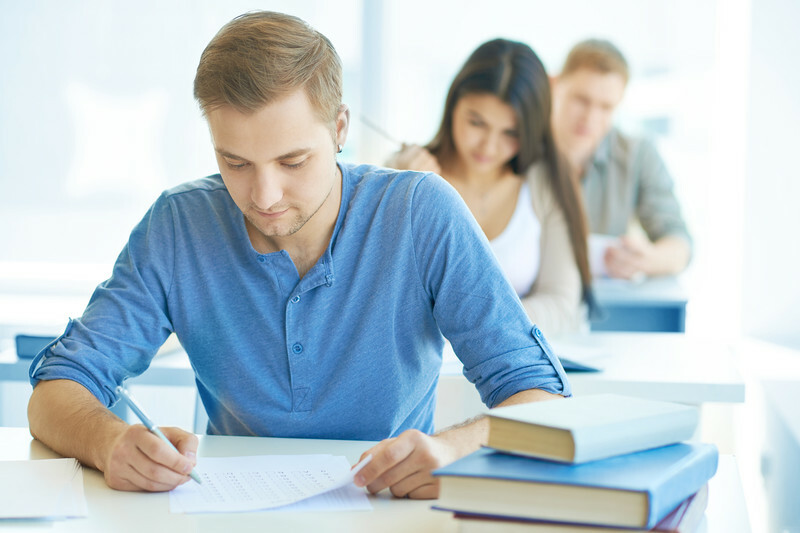 For instance, the information given in the question has an obvious gap in it, and the test-taker quickly spots the appropriate answer and moves on. Other times, though, the question seems bizarrely phrased, and all of the answer choices are either too extreme to be possible, or so similar to one another that choosing one comes down to a quick Eeny Meeny Miney Moe. In those cases, the key to understanding and conquering the question is often formal logic. If not B, then not A. If the lawnmower starts, then the key must be in the ignition. That makes sense, right? The lawnmower is our A factor here—the “sufficient” factor—and the key is our B—the “necessary” factor. What makes one sufficient and the other necessary? Well, the lawnmower here is sufficient because knowing that the lawnmower starts is enough information to tell us that the key must be in it. Could the key be in it even if it didn’t start? Sure. If you’ve ever left your keys in the ignition and accidentally locked yourself out of the car, you’re very familiar with the fact that an engine doesn’t have to be running for the key to be in the ignition. But if the lawnmower does start, that is sufficient to tell us that the key is in the ignition. And that’s why the lawnmower starting is the “sufficient” factor in the scenario: it’s not the ONLY thing that would indicate that the key is in the ignition, but it’s enough. The sufficient term is the part that immediately follows “if.” “Sufficient” means “enough,” and this part of a conditional statement is sufficient—it’s enough—to require the other part. You don’t need any additional information to know that the other part is true. Being in New York is enough to know that you are inthe United States. In this book, we may also sometimes call this sufficient term the trigger because it precipitates the occurrence or truth of something else, logically speaking. The necessary term is the part that immediately follows the “then.” “Necessary” means “required,” and this part of a conditional statement is required whenever the sufficient term is present. Being in the United States is required—it’s necessary—whenever you’re in New York. If you’re not in the United States, you simply cannot be in New York. We may also call this term the result because it’s the logical consequence of the “trigger” in the sufficient term. Whenever you have the trigger, you’ve got to have the result. If the key is not in the ignition, then the lawnmower doesn’t start. If the lawnmower doesn’t start, then the key is not in the ignition. Change and to or and change or to and (whenever applicable). That looks like a contrapositive if you’re not paying close enough attention. But we saw above that in order to form the contrapositive, the original necessary and sufficient factors had to switch places and be negated. Here, there’s been negation, but no switch. And looking at it logically, this statement doesn’t have to be true based on our original statement, “If the lawnmower starts, then the key must be in the ignition.” If the lawnmower doesn’t start, yes, it could mean that the key isn’t in the ignition. But maybe the key is in the ignition, and the lawnmower is just out of gas. Or the battery is dead. Or someone cut one of the little wire things under the hood like they do to cars in movies. (Auto maintenance isn’t really in my wheelhouse, so I’m not going to pretend to know what the little wire things are.) The point is, knowing that the lawnmower not starting is not sufficient to tell us whether or not the key is in the ignition. So what can we take out of this? Well, formal logic is tricky. And we’ll be delving into it more later. But for now, you as a test taker can start focusing on the necessary and the sufficient elements of statements, and using that knowledge to weed out wrong answer choices.